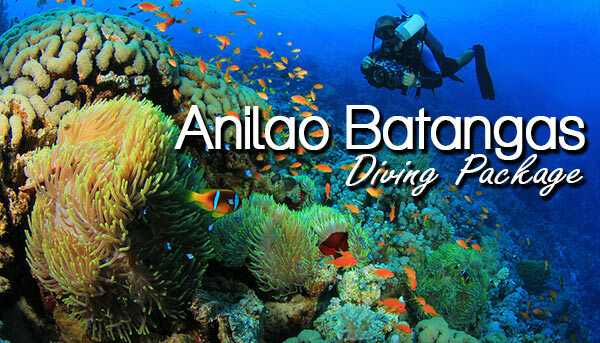 Take a once in a lifetime opportunity and dive deep into the beautiful blue waters of Anilao, Batangas. Batangas is a province well known to be home to the popular golf clubs like Mt. Malarayat and Summit Point. Did you know that it is also well known for its fine white sand beaches and awesome diving spots? It is the nearest area to Manila where one can experience the bottoms of the Philippine sea! Enjoy a different, but undoubtedly memorable, kind of sight seeing here in Anilao. This is a private only tour. We recommend this activity for ages 12 and above. Introductory diving lesson is also available upon request. Batangas is 100 km or 2-3 hr drive away from Manila. Certain courses like Summit Point Golf Club and Mt. Malarayat are also can be found here. If you would like to try this activity, we recommend you to stay in Batangas to avoid the long drive to and from Manila. Best time to take this trip is during the dry season that falls on February- April. 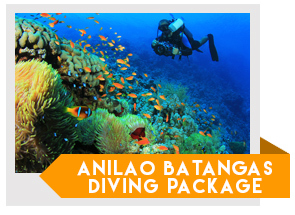 We do also advise you to grab our Batangas package to fully enjoy the beauty of this province. How about try some diving activities to add on your golf package? Try it now!